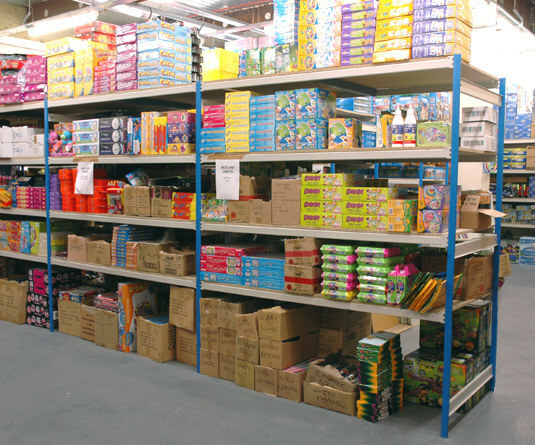 Toy retailers have one of the most diverse stock profiles of any business, needing to cater for everything from large, bulky boxed items to small loose products. 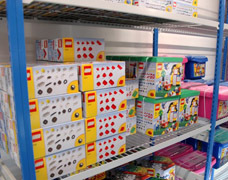 Our modular stockroom shelving systems can be configured to perfectly suit the toys and games being stored, making the most of all the available stockroom space. The E-Z-RECT Trimline shelving system is used extensively in retail stock rooms to provide efficient and practical storage for retail goods. This system is available in a vast array of sizes and to provide exactly the right storage solution for every business. The examples here show a variety of our Trimline units being used for specific toy storage in a range of configurations. Each one provides a long-lasting, commercial grade storage solution that can grow with your business. 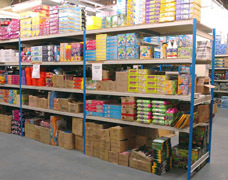 Back-to-back widespan shelving as shown in the image below-left is used for storing large volumes of boxed goods that can be accessed from both sides for maximum stock capacity. Standard single-depth units can be designed to accurately fit against walls and make use of all corners and awkward spaces. 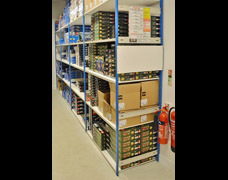 Many stockroom installations achieve the best results by utilising a range of different sized shelving units to suit both the products being stored and working with the space available. Individual shelves have a height adjustment of 25mm and are easily moved to suit varying stock sizes, allowing smaller products to have a shelf of their own without impacting on overall capacity. 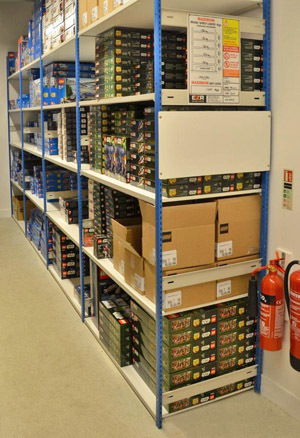 The example shown above-right uses our Trimline wire mesh shelving to good effect in a retail stockroom, providing a storage solution that complied with the building's sprinkler system regulations. There several other shelf options, these include: chipboard, wipe clean melamine boards, galvanised steel decks and even bespoke work surfaces that create integrated work desks for labelling and packaging. 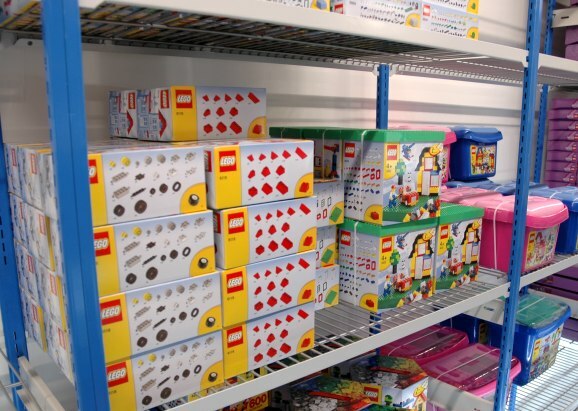 We supply stockroom shelving to some of the largest toy retailers in the UK, if you require a similar solution please contact us for more information and a free quotation based upon your specific needs.